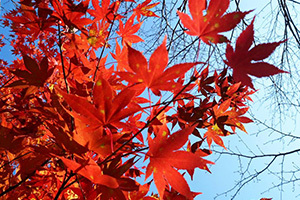 This October, let’s study Japanese whilst enjoying the spectacular autumn leaves and delicious seasonal food of the refreshing Hokkaido fall season! Hokkaido is stunning at this time of year, and the changing colors of the fall leaves reach the north of the country before the rest of Japan. Reds, yellows and greens weave together in a beautiful vivid display that you can enjoy within the city of Sapporo itself, or through exploring the local countryside. 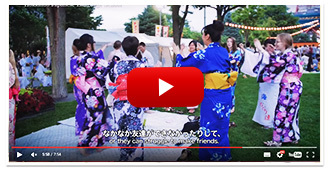 This October, you can enjoy studying Japanese in a refreshing and comfortable climate, find the space to focus on your studies, and enjoy the many delicacies that Hokkaido has to offer in the autumn season. Please check the detailed schedule for more information. 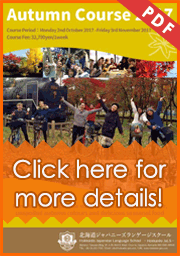 Autumn Course pamphlet. Hokkaido is one of the most beautiful areas of Japan in the autumn season, and you can see the vivid reds, yellows and greens of fall leaves in many local places. Within　Sapporo　city　itself,　but　also　within　the　local　countryside,　the　scenes　are　spectacular and attract visitors from all over the country. The climate in Hokkaido autumn is also refreshing and cool. It’s the best season for many sports, activities and studies as the weather is cool enough to be active, yet still fine enough to spend long days outside. The seasonal food in Hokkaido is also delicious! Hokkaido boasts many local seasonal ingredients in the autumn, such as local salmon, oyster, crab, potato, pumpkin and so many more! There’s so much to choose from!